Something To Browse: Announcements and my Love for you! Announcements and my Love for you! Alright. This will be mostly an announcement post. I will not be able to post next week. It's getting to that part of the semester where life is just increasingly difficult. I have a lot of things to catch up on, and I'll use next week to do it. That's right, guys, not even the What is Monique Learning? idea can save me from the amount of studying I have to do. Meanwhile, here are some of the things you can do on the blog while I'm off studying. -Feature A Blogger Sign-ups are still open. Sign up to get a chance to be featured on my blog. -Nominations for the SAC Award. Every once in awhile, we come across characters that we really hate or characters that need a good talking to. The SAC Award, also known as the Slap A Character Award is inspired by Queen Levana from The Lunar Chronicles. 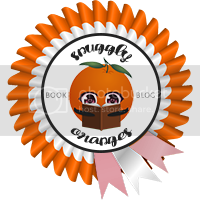 The award goes to a fictional character that really gets on our nerves, a character that is just mildly annoying, or a character that we love but they seriously need a wake-up call. . Scroll down and in the sidebar, there are nominees for the next SAC Award. I think you'll be surprised by who found their way on the list. So, you decide. Who should we "slap" next? Do you have nominations? Comment your nominees and I'll add them to the list. -Learn a tiny piece of Genetics by viewing the What is Monique Learning? post. -Read Teasers and Theories for the upcoming novel, Winter by Marissa Meyer. -Go read some Fake Texting Between Emperor Kai and Captain Thorne. 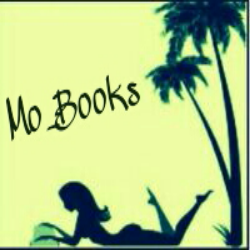 -Book recommendations? Tell me what I should read next. -Want to share a bookish/discussion post from your own blog? Put the link to your post in the comments. Thank you guys for being amazing with all the views, comments, likes, and shares. I love you! <3 Never forget that.